Content Guru has been profiled in DMG Consulting’s 2015-2016 Cloud-Based Contact Centre Infrastructure Market Report, as one of ten companies to be featured in-depth. Based in the US, DMG Consulting LLC is a leading independent research, advisory and consultancy firm, specialising in the contact centre and analytics landscapes. Its annual ‘Cloud-Based Contact Centre Infrastructure Market Report’ is recognised as a key reference point for this sector, providing over 500 pages of detailed analysis of the latest market trends, challenges, technologies and vendors. Content Guru makes its second successive appearance in the report, receiving a comprehensive in-depth feature following on from a high level overview last year. The report quantifies the success that Content Guru has enjoyed this year, revealing a 50% (like-for-like) increase in seats and 66.7% increase in customers over the last 12 months to make up a market share of 3.8% (by seats). “2015 has been a milestone year for Content Guru. We celebrate our tenth anniversary with growing industry recognition and international expansions into Germany and the USA. “2015 was an outstanding year for the cloud-based contact centre infrastructure market and 2016 is looking to be even better. Enterprises of all sizes, in many countries, are either adopting or considering the use of cloud-based contact center systems. 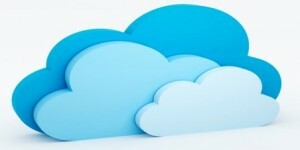 Be the first to comment on "Content Guru Featured in DMG Consulting Cloud Report"